I refuse to look at the current goings-on at the National Hospital Insurance Fund (NHIF) through the obsessive prism created by politicians. It is clear from the rhetoric being spewed out right now that politicians are merely interested in scoring propaganda points against one another. At stake is an experiment which is supposed to pave the way for the NHIF to start providing insurance for out-patients. When we are through with investigating the Clinixs and Meridians of this world, we must go back to discussing insurance for out-patient services. Medical expenses are killing our people. I know of families which have been driven into poverty by medical bills. 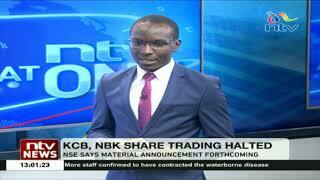 Where should the investigations on the current NHIF saga start? First, investigate the viability and practicability of the capitation system. Why did the NHIF discard its usual ‘‘fees for service” formula for a system so prone to manipulation? Granted, capitation has been successfully implemented in other countries. As a matter of fact, the NHIF piloted the system in 2009 with Clinix and Meridian. But considering that this is an institution that is perennially in the news over poor governance, it should have been obvious to everyone that a system involving advance payments to clinics was only going to open loopholes for rent-seeking elites to exploit. Establishing the incidence of corruption should not be a difficult assignment for the team investigating the affair. Just go to the cash office and examine all payments paid to hospitals and clinics under the capitation arrangement. It will not be difficult to establish whether some of the clinics were overpaid, or indeed, whether they are clearly stipulated in the capitation contracts. Another area the investigation should focus on is accreditation. The NHIF has very robust guidelines for accrediting hospitals and clinics. How did we end up with ghost clinics? The Medical and Dentist Practitioners Board has also pointed out that some of the clinics were not even registered? Clearly, some of merchant providers were in a race to build as many clinics as possible in order to hog the lion’s share of the money. The investigation must also focus on the formula used to allocate civil servants and teachers to specific clinics. We must know how a few hospital and clinics ended up with too many civil servants and teachers in their lists. Having participated in a pilot study on the capitation system with the NHIF in 2009, Clinix and Meridian clearly took advantage of insider knowledge to dominate the business. According to the arrangement, the coverage was to include five dependants for every civil servant. We need to thoroughly audit the lists of names, especially the list of the dependants. Preliminary evidence suggests the merchants padded the lists of dependants with fake names. It is also suspected that some of the A-lists of dependants were generated through the computer programme, Excel, with every civil servant being represented as having five dependants. Who said that every civil servant in this country has five dependants? 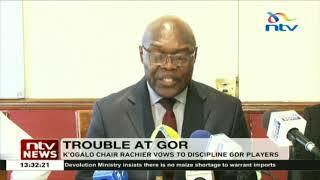 The power struggle between Medical Services minister Anyang’ Nyong’o and the acting Head of Public Service, Mr Francis Kimemia, once again thrust the corporate governance crisis bedevilling the parastatal sector to the fore. State-owned enterprises, including regulatory agencies, are governed by overlapping laws, in this case, the NHIF Act, and the State Corporations Act. These laws give the heads of line ministries wide-ranging powers, including appointment of chief executives and directors. On the other hand, the State Corporations Act gives the President powers to appoint board chairmen. Where the government owns shares in a parastatal, the Treasury must come in because under the permanent secretary to the Treasury Act, and the Exchequer Act, the PS is the actual holder of government shares. We should remove the NHIF from this Tower of Babel. We need a system that will make the NHIF more accountable to its membership.